MainAll NewsInside IsraelWho stole monument to Rabbi Meir Kahane? Who stole monument to Rabbi Meir Kahane? Monument memorializing slain rabbi, Knesset Member disappears from Kiryat Arba park. A monument in Kiryat Arba honoring the late Rabbi Meir Kahane disappeared without a trace recently, and students of the slain rabbi say they know who is responsible. Rabbi Kahane, a controversial figure both in Israel and the American Jewish community, founded the Jewish Defense League in 1968 to protect American Jews from rising anti-Semitism and to protest Soviet restrictions on Jewish emigration. 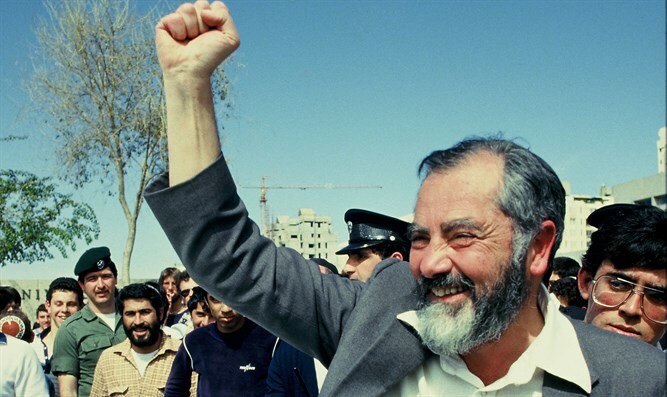 In 1971, Rabbi Kahane moved to Israel, where he founded the Kach (“Thus”) party, which advocated the transfer of Arabs from Israel and the annexation of Judea, Samaria, and Gaza. Elected to the Knesset on the Kach ticket in 1984, Rabbi Kahane drew condemnation from not only the Israeli left, but also the ruling Likud party. In 1988 the Knesset barred Rabbi Kahane from running for a second term, despite polls showing Kach poised to become the third largest party in Israel. Two years later, an Arab terrorist with ties to Al Qaeda assassinated Rabbi Kahane during a public appearance in New York City. After the assassination, residents of Kiryat Arba dedicated a park in Rabbi Kahane’s memory. Later, a monument was erected in his honor in Rabbi Kahane Memorial Park. Over the years, the park became the frequent target of far-left activists, particularly following the burial of Kach member Baruch Goldstein in a plot adjacent to the park. A monument memorializing Goldstein, a resident of Kiryat Arba, was demolished in 1999, following lobbying by left-wing activists. But now, say Kiryat Arba residents, the park monument honoring Rabbi Kahane has also been removed – not by authorities, but by thieves. Students of the slain rabbi, including attorney Itamar Ben-Gvir and former MK Michael Ben Ari, say the monument disappeared some two weeks ago. They claim the theft was the work of far-left activists, noting that members of the radical Breaking the Silence group visit the Rabbi Kahane Memorial Park every Friday as part of their tours of the neighboring city of Hevron. Right-wing activists have filed a police report and called for a special investigation into the radical left-wing groups they hold responsible. “The lunatic left fringe, which fawns over Arafat’s grave, is under the illusion that the removal of the monument to Rabbi Kahane will erase the fact that Rabbi Kahane was right,” said Ben Ari.